When was the last time you read a book? 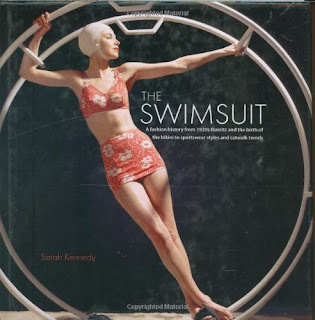 I find history interesting and picked up this book "The Swimsuit" to learn more. Did you know in 1907 a female swimmer was arrested for indecent exposure? She was wearing a one-piece swimsuit! We have really come a long way and the styles are always coming back, such as the high waist bikini. The pictures are timeless, motivating and classic. In about 100 years, the swimsuit industry has really sky-rocketed. A swimsuit debuted by Gottex sold for 18 million dollars! Wow! With this beautiful fall weather, it seems like a good time to lay on the beach and read a book of interest. It stimulates your brain, you learn and you can get inspired. I'm an author too so I always encourage reading. If you'd like an inspiring book for your children, look for my book "Pig Kissing." It is a available on Amazon.com along with "The Swimsuit." Reading a paper book gives our eyes a much needed rest from the computer or phone. Studies show that the light and use of tiny phones can be damaging to your eyes! Beautiful eyes and a brain are great accessories. Happy fall and happy reading!